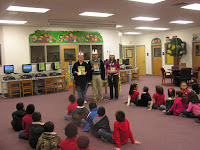 General Ricardo Sanchez Elementary Library held a three kings celebration on January 6, 2011. This event is to expose students to this Hispanic traditional holiday. Students became familiar with its history and customs after a book was read-aloud. Additionally, students received a free book as a gift on this special day. 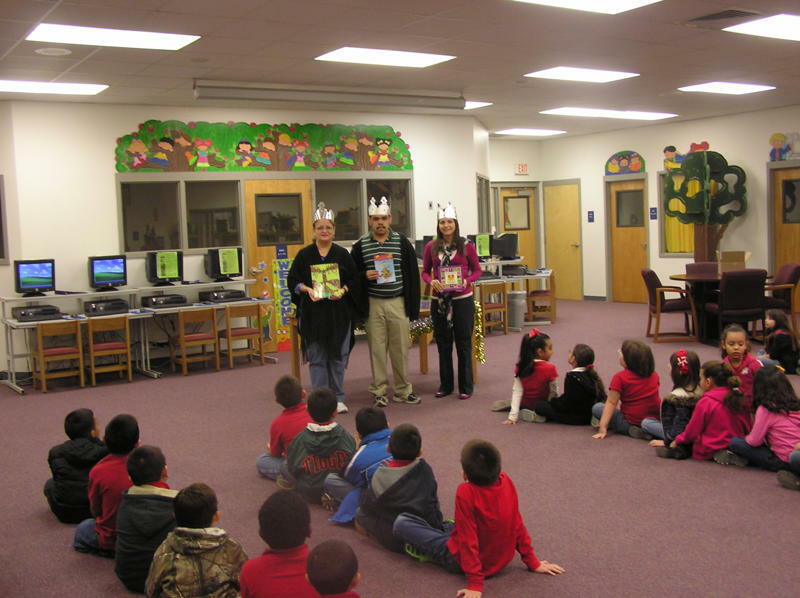 Pictured from left to right are Mrs. E. Margo, Mr. D. Silva and Mrs. E. Perez. RGCCISD photo.